Rebecca Rothney, the Founder of Pack for a Purpose, was invited to co-moderate a panel at the Conference Travel + Social Good which was held in New York City in September. Her husband Scott who serves on the Board also attended and participated. The Conference which included NGO’s and media from around the world proved to be a very productive resource and networking experience. At the end of the Conference Pack for a Purpose had raised awareness of our organization and its mission and acquired a new volunteer Consultant. We had the added pleasure of meeting again with Sarah Yonan, our volunteer from Philadelphia, who also attended the Conference. 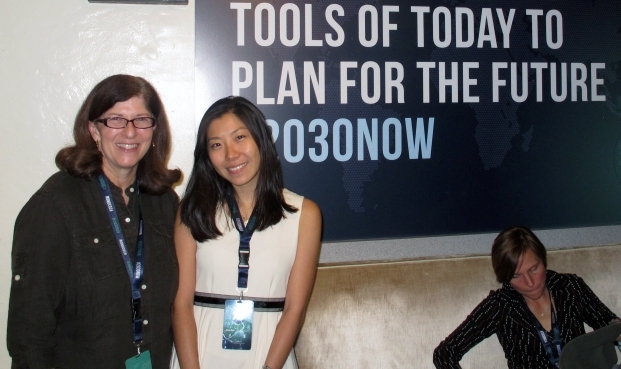 An additional benefit of attending the Conference was that Rebecca and Scott received press passes to attend the Summit for Social Good: 2030 Now. The Summit was presented by 92Y, Mashable, the United Nations Foundation, Ericsson, the UN Development Programme and the Bill & Melinda Gates Foundation. Having access to the press room was invaluable. It allowed them to make direct contact with global media and gave them access to meet the inspiring speakers that were on the presentation panels during the three day event.